Glooko Cable, The summer Sequel. There is a press release out today that Glooko and Accu-Chek can talk. Very cool news. I like to see BG data moving into collaborative channels. PALO ALTO, Calif. and INDIANAPOLIS, May 30, 2012 /PRNewswire/ -- Glooko, Inc., makers of an innovative diabetes logbook solution, and Roche Diabetes Care, makers of ACCU-CHEK blood glucose monitoring systems, insulin pumps and information management solutions, today announced their co-promotion of the Glooko Logbook solution in the U.S. With the introduction of the Glooko IR Adapter, ACCU-CHEK customers who prefer to manage their diabetes on their iPhone or iPod touch can now use the Glooko MeterSync Cable and the Glooko Logbook app. With the Glooko products, not only can ACCU-CHEK users download their blood glucose readings from their meter, but they can also add notes and view the information anytime, anywhere on their mobile devices to help them monitor their blood glucose values. SAN DIEGO--(BUSINESS WIRE)--LATITUDE Pharmaceuticals, Inc. (LPI) announced today that its scientists have developed the first ever, ready-to-inject, stable liquid glucagon formulation (Nano-G). A glucagon formulation with these properties had been a highly sought after Holy Grail of drug developers for decades. Currently, glucagon is indicated for emergency treatment of insulin-induced hypoglycemia and as a diagnostic aid for radiological examinations. Researchers have long been interested in evaluating glucagon for hypoglycemia prevention, the bi-hormonal insulin/glucagon pump and the treatment of obesity but have been thwarted by the absence of a stable injectable glucagon formulation. Glucagon is a notoriously insoluble and unstable molecule and is therefore provided as a dried powder. Before use, the glucagon is dissolved in an acid solution by following a cumbersome, eight-step procedure that becomes an outsized task during life-threatening hypoglycemia. Glucagon, while useful stuff, kind of fall short of my Holy Grail Test. Sure cures fall into Grail status. I think prevention would come real close too. I have also written about side orders to go with the grail like some basic integration of management tools. We each seek our own Grail and I am happy that stable liquid glucagon was someone's. I am a big fan of progress. Automation in the prevention of hypos would be progress. There are smart smart folks working to AP projects. That is great. For me this is better and Better is Better. Dual hormone pumps with very good logic tools to support them is better. Staying in range more of the time is better. Glucose responsive insulins that make hypos history would be that much more. The Grail? Cures. Not a cure, Cures. 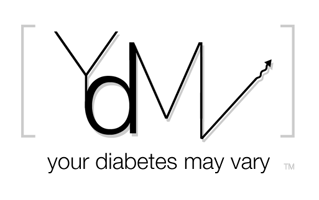 'cause I know enough about type 1 diabetes to know that one size doesn't fit all. I also know enough to know progress is one step at a time. 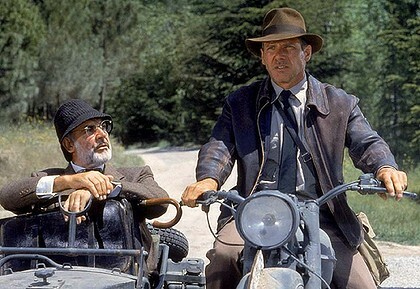 Mostly I know this about Grails, nobody ever find them (except for Sean Connery & Harrison Ford.) When you find what you thought may be a Grail you discover a new passion. So lift your glass and toast pursuing passion. Dexcom management provided a quarterly update as part of their earrings call last week. It contained forward looking statements so take it with that caveat. As far as I am concerned, as the parent of two T1D teens, that is the interesting stuff. They filed a PMA for the Gen 4 sensor at the end of Q1. Terry Gregg called the product “Truly Remarkable.” They will be presenting details at ADA on June 8. Boy would I like to be there. The Gen 4 sensor was said to be better in all respects than the Seven +. He said it would be 20% more accurate in general and 25% more accurate better in hypo range. The Gen 4 is said to have better range up to 30 feet than the Seven +. This was reflected in the high number of data captures in the trials. The FDA has responded with a “Rapid Responce.” He said that the FDA is doing everything in their power to get the thing through their process. The agency has reached out and Dexcom was clear to give the FDA credit for their efforts in the approval process. The Gen 4 is believed to be able to function with reduced calibration needs. Dexcom is exploring how to submit later for lower calibration requirements possibly for Gen 4 or 5. Ultimately the goal of Dexcom is to eliminate the need for calibration but lets be clear that goal not a current expectation of the Gen 4 product. The stand alone Gen 4 product is expected to get a CE mark and enter the market in the summer. The Gen 4 membrane will be used for the Gen 5 product. They may explore trials for approval for a longer life of the Gen 4 sensor. There was extensive conversation around that around the 38 minute mark. I found it fascinating but I’m a little geeky. Gen 5 is a connectivity platform; to smart phones, remote monitors and the Tandem and Roche pumps. At about 45 minutes there was more on that, data integrity and conversations with the FDA. Again good geek stuff, actual humans may find it less exciting. They are spending R&D to an automated inserter. Terry Gregg mentioned and agreement with Qualcomm to integrate GDM into the hub for transmission to the SweetSpot Cloud. Understanding that is probably worth digging around Google from more information. In full disclosure, I own Dexcom shares. 3 Comments Labels: CGM , DexCom , Diabetes , Forward looking statements. 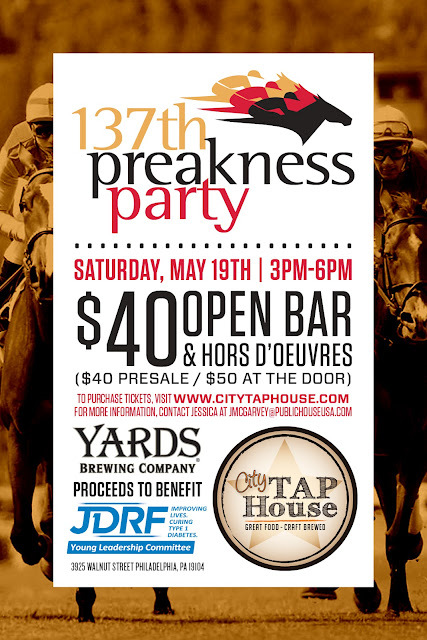 Enjoy the Preakness and Party with the Phila JDRF Young Leadership Committee. Saturday, May 19, 3pm - 6pm City Tap House. #TwoBits Attitudes that Make me Smile. Here TwoBits with great attitudes. Bill Woods aka 1HAPPYDIABETIC: I am a Better Person Because of Type 1 Diabetes. 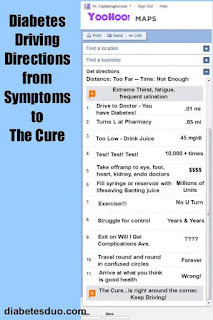 On Facebook: Captain Glucose's Driving instructions from Diabetes to a Cure.